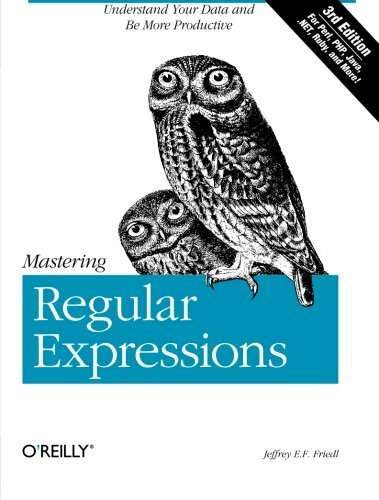 9780596528126 | 3 edition (Oreilly & Associates Inc, August 1, 2006), cover price $49.99 | About this edition: Introduces regular expressions and how they are used, discussing topics including metacharacters, nomenclature, matching and modifying text, expression processing, benchmarking, optimizations, and loops. 9780596002893 | Oreilly & Associates Inc, August 1, 2002, cover price $39.95 | About this edition: Introduces regular expressions and how they are used, discussing topics including metacharacters, nomenclature, matching and modifying text, expression processing, benchmarking, optimizations, and loops. 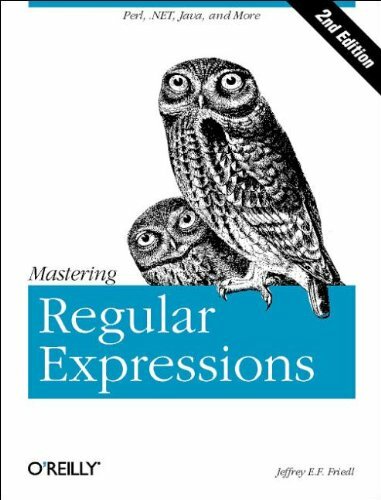 9781565922570 | Oreilly & Associates Inc, January 1, 1997, cover price $34.95 | About this edition: Regular expressions are a powerful tool for manipulating text and data.